At some point each month we cover our income report for the previous month. 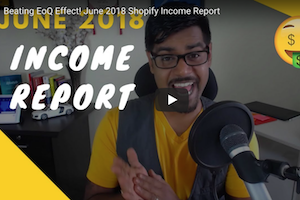 Today we’re covering our June, 2018 Income Report. If you’re familiar with Flying Start Online, you know we’ve been focused on Shopify Dropshipping. And this income report is reflective of just that. It’s the real-time, unfiltered report from our main store – CommonPanda. Rito has many digital assets ranging from Software to Membership Websites. 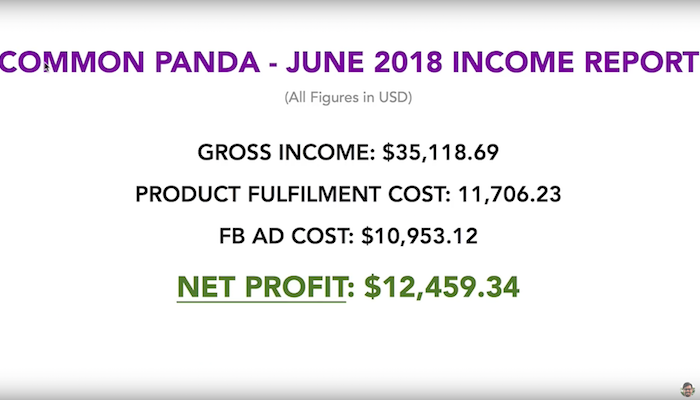 But these reports will focus solely on our CommonPanda Shopify Store. The best part is, you watched us build this store from scratch. If you’re new around here, This Is How We Did It. Pay much closer attention to your ads one week before the EoQ and until 1 week after. Lower your daily budgets and pause anything that’s not performing. There is no “trick” as you are the savior you seek in this situation. You might as well get used to it now, because end of quarter happens four times a year and affects every business that advertised online. We didn’t have any chargebacks this month, and only issued a handful of refunds. This number ($37,501.09) represents the Gross revenue generated. From June 1 – June 30, we processed 1,162 orders. For the sake of this video, we’ll assume the fulfillment costs were 33% or 1/3 of our generated revenue. Our fulfillment costs range from 25%-35% of our asking prices. 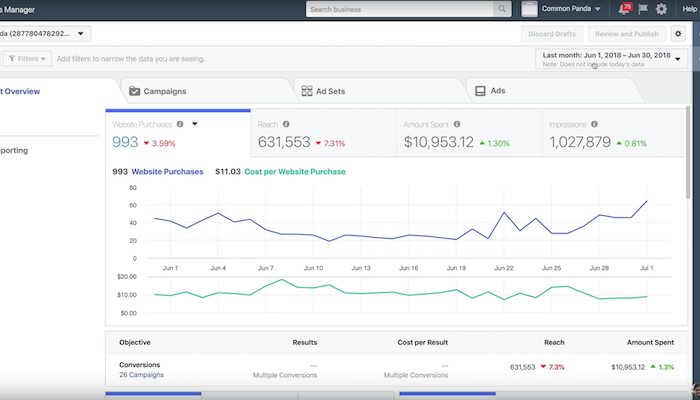 Facebook Ads CPM, CPC and overall ROAS are all affected by the end of the Q1 Spending Spree. The final three weeks of every business quarter, see higher ad spends by companies of all sizes, in all industries. Many need to deplete their marketing budget for the quarter to receive the same amount if not more for the next quarter. While we also have some auxiliary monthly expenses such as a Virtual Assistant and Customer Service Representative, they don’t cost much or significantly impact our net profits. 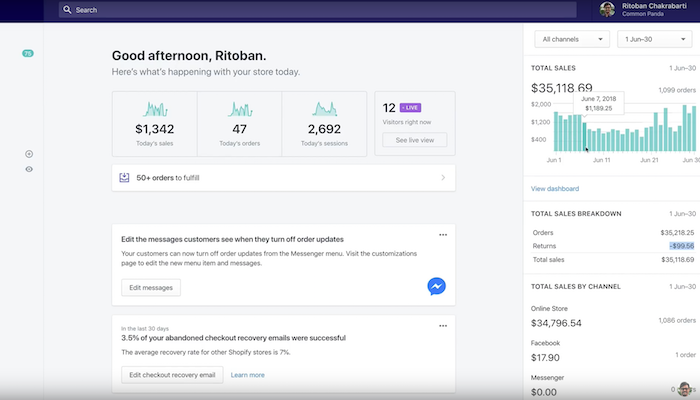 If you’d like to build your own successful Shopify store, check out our 6-Step Shopify Webinar. We’ve removed all the risk for you, so don’t procrastinate. That’ll do it for Episode 22 – Great work! I started with your mechanisms, and have generated around $100 worth of sales, but have perhaps spent around $150 till yet. Also, even products which sold a couple of copies, I haven’t seen any significant traction, and could not sell more than 1-2 units. Interestingly almost all ads I played till yet sold a unit or so within first two days, and then blank ! Is there some help/guidance that you could give? I really want this to be made successful. We can figure out a way to compensate you for your time as well. You could book a consultation call with me.